CO.ALITION is centered around equipping young creatives with the technical tools needed to take on a multi-activity excursion. Whether that be the everyday transit to work, or traveling internationally for pleasure, CO.ALITION can give a new digital advantage that no other bag on the market can. For a long time, Jeff Popp and Casey Lorenzen (the founders) wanted to create a photography focused bag. I was equally excited to start working on that when I came on to the small team as a product design intern in the Summer of 2016. The important thing was to be strategic and create a photo-bag distinct to a different kind of photographer than someone who would buy and use a Peak Design Pack. We just need a spark to start and then we met Jason Siegel (not the actor). Jason Siegel is a professional photographer that is known to be the go-to-guy for shooting concerts and music festivals. Big Gigantic, GRIZ, Rick Ross, ASAP Rocky, and Dillon Francis are just some of the people Jason has shot for. When he is not shooting music, he is shooting female portraits for brands, or working on his own artist series "Shoot Portraits, Not People". Jason was done using bulky, ugly, and uncomfortable camera bags, he was ready for a camera backpack that would adapt to the shoot just like the rest of his camera gear. Jason came to the CO.ALITION team, challenging us to create a bag that can hold his arsenal of camera gear, withstand the rigors of shooting in crowds, and aid in the transitioning of planned camera shoots. What does shooting music festivals look like? Shot and Edited by Shane Stolz, and Jason Siegel. What is in his photo-bag? 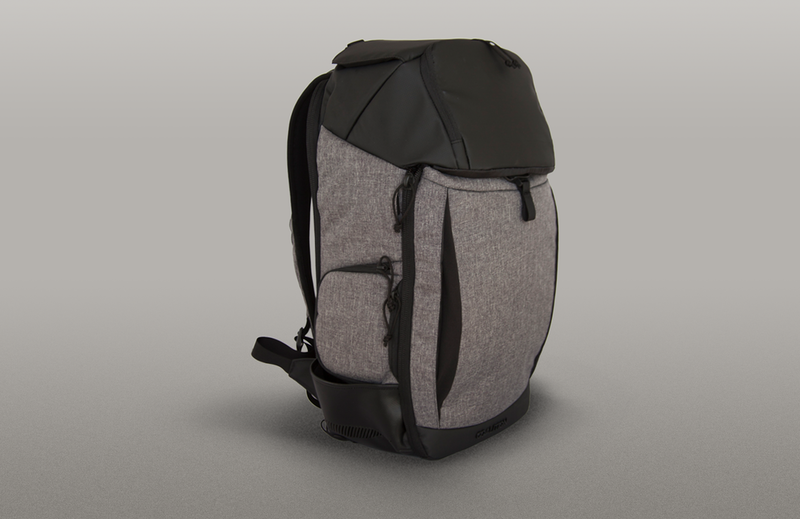 The Peak Design Everday Backpack, does an amazing job in feature set, and pocket access. But for photographer that has long hours of shooting, it is just too small for his gear. Constantly changing venues, and styles of shooting, Jason has to adapt his pack for shooting for a night to shooting for weeks at a time. A benchmark of size would be the Incase DSLR Pro Pack, but with higher quality fasteners, and styled to be carried outside the backstage access. The name comes from Gunbarrel, Colorado, which one of the founders, Casey, grew up in. All Co.alition bags are named after different places Colorado. The name also acknowledges the level of efficiency, adaptability and cleanliness that you might expect from someone that went through the military. The Gunbarrel is built to allow all point access for any camera gear, but maintains security and protection of the delicate cargo inside. The colorways were based on a set of Jason Siegel's photos, to bring it back that this is a collaboration between him as a photographer and CO.ALITION as a technical-style backpack company. With a sample to test out each feature with photographers, we learned that I need to simplify construction of the features and really refine to a couple points of accessibility into the backpack. The factory ignored some of the styling points in order to focus on functionality of the different features, but that will be addressed in later rounds. As we get into later round we will start to get lab dip samples of the different pack colorways. Stay tuned to see this backpack make it to the market! Help, guidance, and refinement from: Jeff Popp, Casey Lorenzen, Michelle Hodulik, Anders Mavis, Allison Moran, Jason Siegel, Keenan Hock, and Shane Stolz. © Wesley Zelindo Bauer Student Portfolio 2018. All rights reserved.